We have just started a brand new award (for us) at The School Of Fish called, AIM Awards. 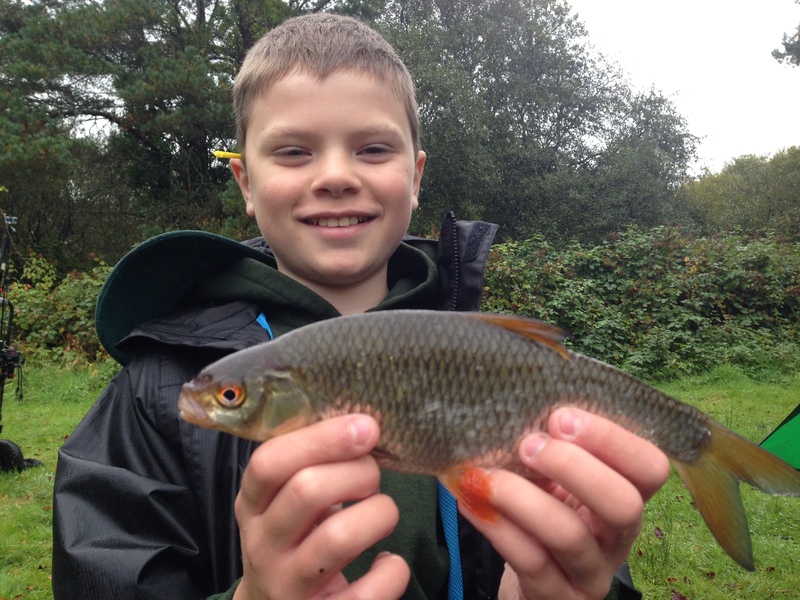 The first learner is Samuel who is as passionate as anyone about his fishing. During the first week we looked at licenses required to go fishing, the reason why and where the money generated from Rod License sales goes. Samuel is busy with his homework task which we will shall as it should be a good lesson for everyone. During the lesson we fished at a small private Club who kindly gave us permission to fish for the morning. The weather was pretty wet but, having focussed on setting up a swim in a neat and tidy manner, including an umbrella, we got started. We thoroughly plumbed the depth of the swim and built up an accurate picture of what was actually in front of us. I can’t stress enough how important it is to spend 10-15 minutes at the start of the session really understanding what you’re sitting in front of. Once we had a picture of the contours of the lake bed we got fishing and very soon to fish responded to our float fishing tactics. With the fish seemingly very active we wroked on a feeding strategy that after an hour and a half had the fish in a feeding frenzy which made catching them easy. We fed 6-10 maggots every minute for over an hour. We caught fishg during that time but the action just got faster and faster as more and more fish came to get in on the constant stream of maggots we fed. It was crucial that we fed the same area again and again to we didn’t spread the fish out. 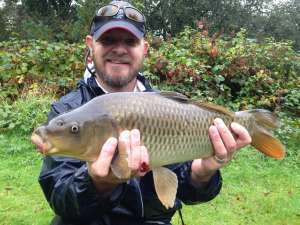 Watch the best anglers and they are incredibly accurate with everything they do. Get the feeding right and the rest can become very easy. Samuel ended up with a great net full of fish and his Dad Gary got in on the action as well bagging himself an excellent Carp. When the weather got too much we ended the session to dry off and warm up and head home to do that homework. Next time we’ll be looking at playing and landing fish as well as identifying the preferred habitats of different fish. Keep up the good work Samuel!